An overall LOW avalanche danger this morning will rise to MODERATE on southerly aspects above treeline with daytime heating. 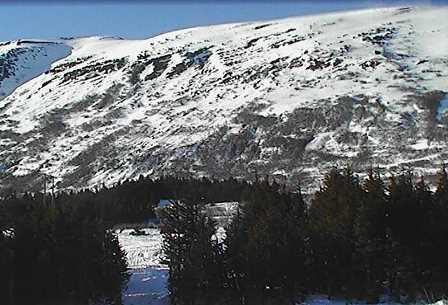 Wet loose snow avalanches will be possible to trigger on steep slopes where the sun is able to soften surface crusts. Additionally, cornices continue to deserve a wide berth from both ridgelines and below. Due to warm temperatures, rain, and a decreasing snowpack all motorized areas in the Seward District and 20 mile are now closed. The only areas open for snowmachine riding are Turnagain Pass, Johnson Pass north, Placer and Skookum. See the 'riding conditions' update on the bottom of this page for more details. If you recreate in Turnagain Pass please consider participation in this survey at http://edu.surveygizmo.com/s3/1523144/Avy. Your feedback will help assist in avalanche forecasting and avalanche education while contributing to ongoing research that benefits the backcountry community. Participants will be entered into a prize drawing and have access to final results! Our unusual winter continues as we enter March in a melt-freeze cycle. A variable, yet mostly supportable, crust covers the snowpack as high as 4,000' and higher in some areas. With the intense sunshine yesterday, south facing slopes were able to soften - to some degree - and this should be the case again today. No avalanche activity was seen or reported yesterday. If you are headed out in search of sunshine and softening crusts, keep an eye out for soft snow that becomes several inches deep or more. 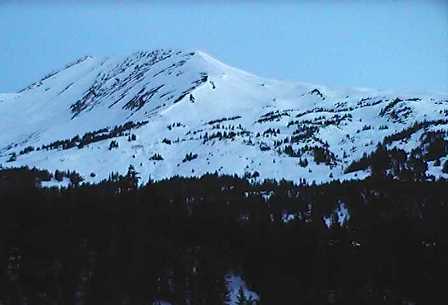 In this case, wet loose avalanches will be possible to initiate on steep slopes. Though these are fairly slow moving and predictable avalanches, they can have a lot of mass and momentum behind them. Keeping this in mind with your terrain selection will be key. Even a small wet loose avalanche can be dangerous in terrain traps, channeled terrain, cliffs, etc. Cornice falls continue to be a concern with our spring-like temperatures and increasing sunshine. Give cornices a wide berth and steer clear from underneath. They are notorious for breaking further back than expected. At elevations above 2,000' there is a variable facet/crust combination that sits 1-3' below the surface. It has been 2-3 days since any slab avalanche activity has been reported at this interface. This activity was in the Placer valley zone and not in the heart of Turnagain Pass. Though the snowpack is tired and the facets are not proving to be very reactive, it is worth noting for those that may be headed out to the far reaches of our advisory area. This is an outlier concern that is mainly confined to >4,000' in elevation or on steep south slopes that become very soft with the daytime warmth. It was a beautiful day in the backcountry yesterday with sunny skies and calm winds. During the past 24-hours temperatures have averaged around 32F on the ridgetops and winds have been light and variable. The last precipitation was recorded on February 26/27 where 0.2" of rain fell up to 4,000'. Side note: The combination of very little wind and intense sun can cause temperature sensors to warm up and record inaccurate readings - this occurred at Sunburst yesterday where a spike of 50F was recorded mid-day even though the true temperature was ~30-35F. Another round of clear skies is on tap today. Ridgetop winds have shifted overnight to a Northerly direction and will pick up slightly to the 10mph range. Temperatures will remain near 32F on the ridgetops and climb to ~45F at 1,000'. Monday temperatures will begin to drop as a cold front slides in with a chance for an inch or two of snow on Tuesday into Wednesday. If you have not done so already - be sure to bookmark this RWIS site for Turnagain Pass. Thanks to the AK DOT who are currently getting the weather station back up and running (not all data is up yet). And a special thanks to Matt Murphy (AK DOT Avalanche Program Director and former CNFAIC forecaster) for programing in views of Eddie's, Tincan, Seattle Ridge and the new snow stake!